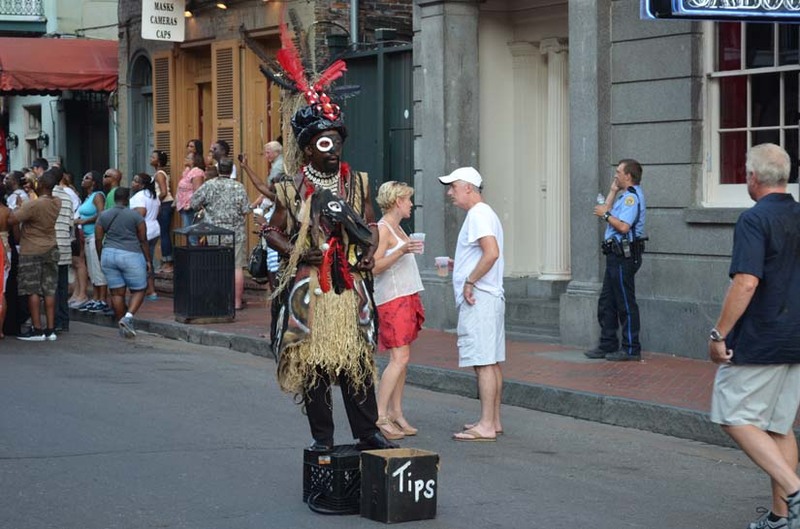 Bourbon Street is just what you expect – dirty, smelly, and lots of fun! 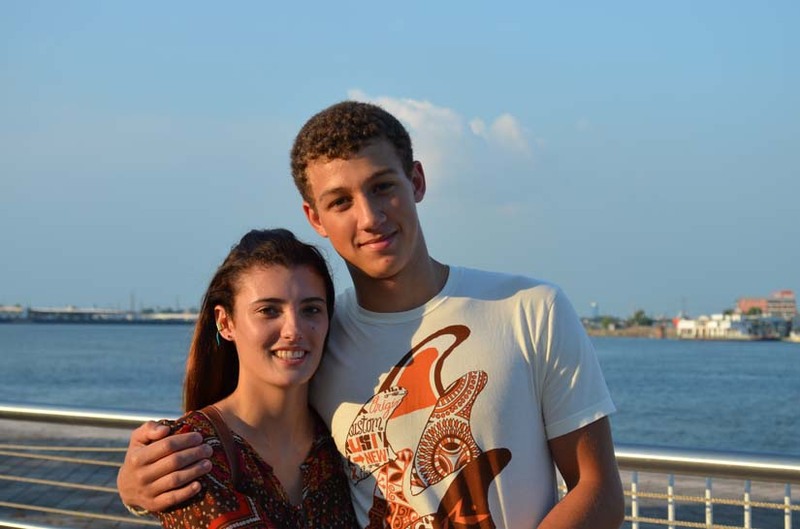 Ryan, our youngest son, turned 17 on July 5 and wanted to visit New Orleans. Timing was perfect, as we had just received a call from some old friends that were visiting New Orleans during that time. Lynn had never visited New Orleans and I hadn’t been there in over 30 years. It was just as I had remembered — dirty smelly and tons of fun. What a unique place. Squeaky clean is way overrated, I love a town with distinct character. 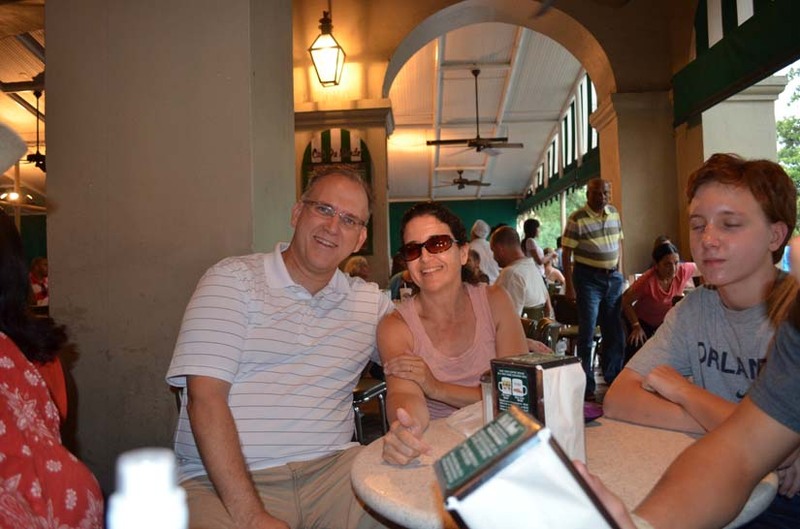 After we arrived to town, we went straight to Bourbon Street in the French quarters. It was priceless to see our 17 year old son and his girlfriend, Mercedes, blush as we passed by the bar after bar along the long strip of Bourbon Street. Every bar was soliticing you to enter, enticing us with 3 for 1 drinks and scantily clad women. As soon as we mentioned we had two 17 year olds with us, they immediately recanted. So we made it on out to a more age appropriate place — the River Walk. The River Walk runs along the Mississippi River which feeds into the Gulf of Mexico. Along this stretch is the French Market and home of the best beignets you have ever eaten. I had never had a beignet before — it reminded me of a cross between a donut and a funnel cake, but with much better consistently. Absolutely a treat to eat. 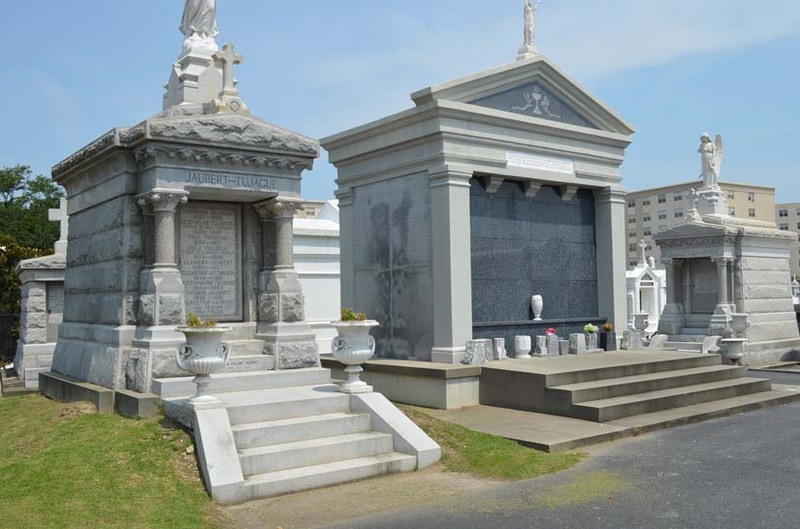 No trip to New Orleans is complete until you tour the cemeteries. On the second day of our trip, we took a guided tour that showed us around the city. This included the exclusive Garden District — it has incredible multi-million dollar houses, mostly Colonial style houses. Later that day, we met up with some friends (Jim and Jackie). I worked with Jim at EDS many years ago and have kept in touch with him over the past 25 years. They live in Dallas and Jackie’s parents live outside of New Orleans. We also got to meet one of their boys, Taylor. It was great to reconnect with them and experience the city with them. 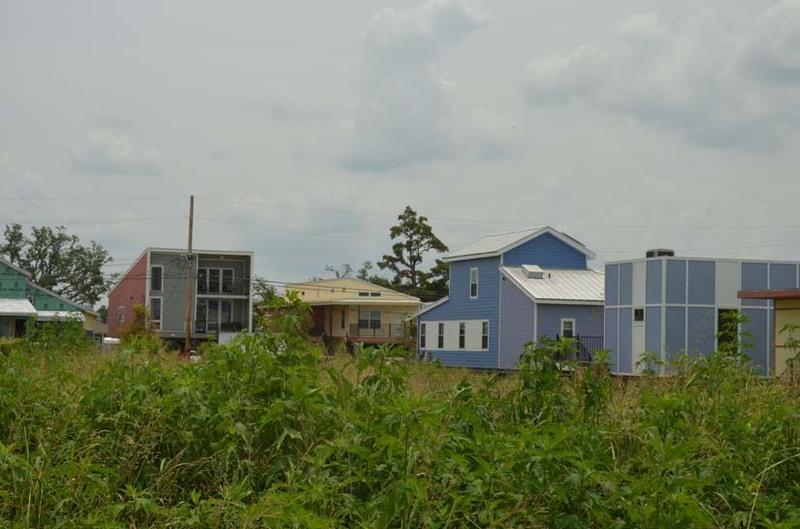 One of the highlights of our trip was visiting the lower 9th ward. This is where Hurricane Katrina devasted a community, washing away about 4,000 homes when the levies broke. Brad Pitt came to the area about 2 years after the devastation and felt like no progress was being made to re-build the homes that had washed away. Brad pledged $5 million of his own money to start the rebuilding effort through his”Make It Right” foundation. He pledged to build 150 new homes and as of today, his foundation has built about half of those homes. The homes are being built for owners of the homes that were swept away. Each home is very unique. They are each designed with a unique blue print, based on the desires of the home owner. The home owner tells them what they liked and disliked about the old home and they build it to maximize the wishes of the owner. Each house is built green — all are solar powered and actually produce income for each home owner because they are so efficient, the home owners sell power back to the power company. Each home also collects rain water (about 300 gallons), used to irriagate their lawns. Every home also has an escape hatch in the roof in case the levy were to every break again — they can escape from the roof. Many people were killed because they could not get to their roofs for safety. If you want to learn more about this effort (or donate), visit their website here: http://www.makeitrightnola.org/. In August, we will be getting Ryan settled into Colorado State University and then Cameron into University of Maine. After Cameron is settled in, we plan to spend a day or so in Bar Harbor, Maine, then about a week in New Brunswick, Nova Scotia and Prince Edwards Island. Then we plan to travel to Quito, Ecuador for a 3 month trip that will cover Ecuador, the Gallapagos Islands, Peru, and Machu Picchu. As we start traveling, we will start posting our travel blogs, so be sure to sign up if you haven’t already. You can sign up at https://webetripping.wordpress.com.